Many homeowners jump prematurely at getting a new roof. Some assume they need a new roof after realizing they have a roof leak. There are many roofing issues that can cause a leak, some of which will only require a repair and not a full-on roof replacement. So, how is that you determine whether your roof simply needs to be repaired or replaced? As a top roofing contractor in Huntsville AL, we’ve made a list of the most common reasons that are tell-tale signs that you may need a new roof. As a general rule, a traditional roof will last approximately 20 to 25 years. Of course, there are many factors that play into how long your roof will last, such as whether it is properly ventilated and how many layers of shingles there are. If your existing roof is at least 20 years old and has at least one layer of shingles beneath it, there is a good chance that a replacement roof will be necessary. Apart from the age of the roof, if your shingles are buckling or curling, then a new roof may be needed. Locate the areas of the roof that get direct sunlight and see if you notice any shingles that are beginning to curl and lose their granules. If you do, then this is a sign that the shingles are beyond their life expectancy. There is also the chance that you have a defective roof on your hands. A roofing contractor will be able to inspect the roof and let you know what steps to take. Have you noticed a shingle, or two, or three missing? If so, this is definitely a sign that your roof is failing. Inspect your roof thoroughly to see if all of your shingles are properly intact. Check the roof valleys and see if there are any damaged or missing shingles. If so, then this is a sure-fire sign that a new roof is needed. The valleys are some of the most integral parts of the roof, as rain and snow flow through these areas and into your gutters. If the valleys are damaged in any way, roof leaks could occur. Have you been on your roof lately? 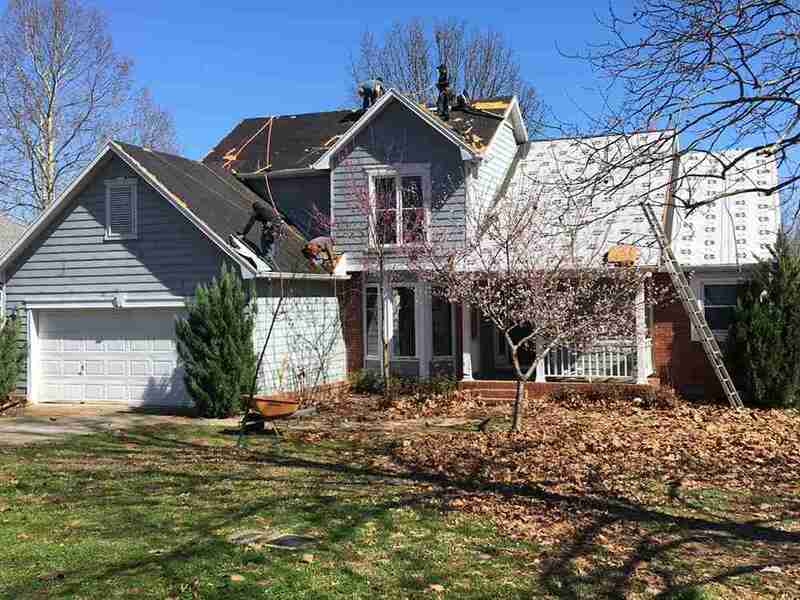 While you probably don’t make a habit of getting on your roof, you may get up there ever so often to do a quick inspection or to get a big limb off so that it doesn’t do damage to the roof. Whatever the case may be, have you noticed that the roof has a bouncy or spongy feel to it? If so, this is a sign that the underlying decking has been weakened by excessive moisture. Go into your attic and look up. Can you see daylight peeking or soaring in through the roof boards? Is there moisture in the insulation? If you answered yes to either of these questions (or both), then a roof repair simply won’t cut it. Whether you need a roof repair or roof replacement, the professional team at 2nd2None Roofing and Construction has you covered. Contact us today for a quote!